Add fresh fruit, granola, and a dash of honey to sweeten your morning! 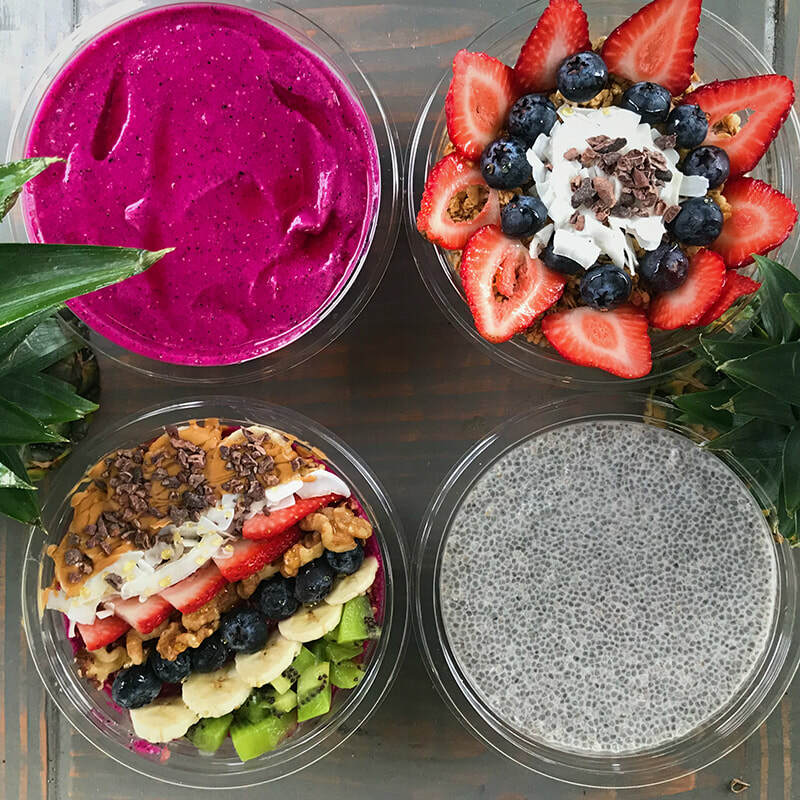 Acia, Coconut and Pitaya Bowls! ​We have many House Favorites to choose from or you can Build-Your-Own! Acai topped with strawberries, blueberries, banana, granola, honey, coconut shavings, and Nutella! 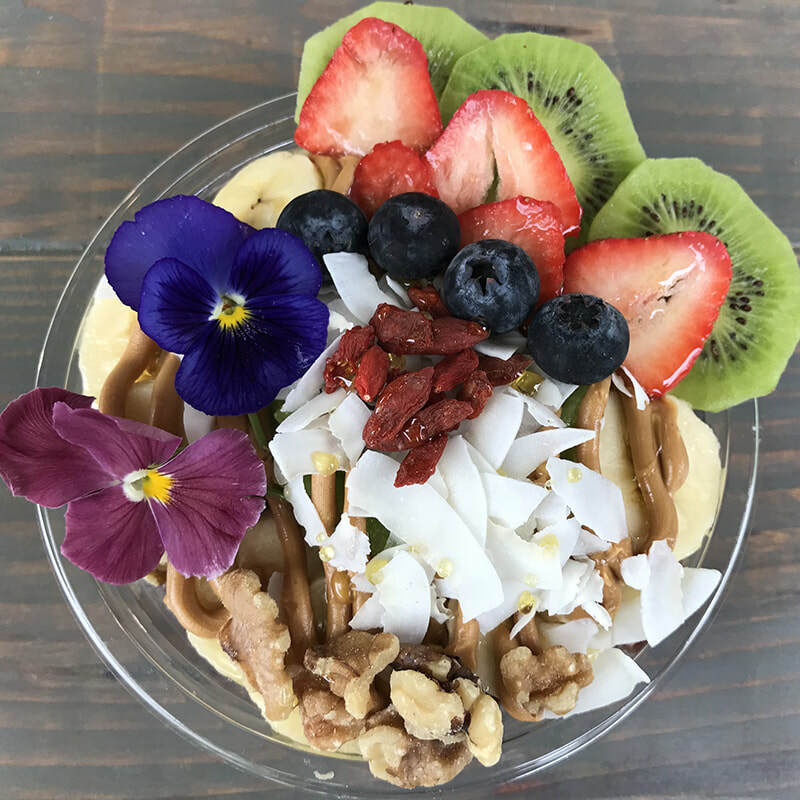 Pitaya topped with pineapple, mango, strawberries, granola, honey, coconut shavings, and Nutella! 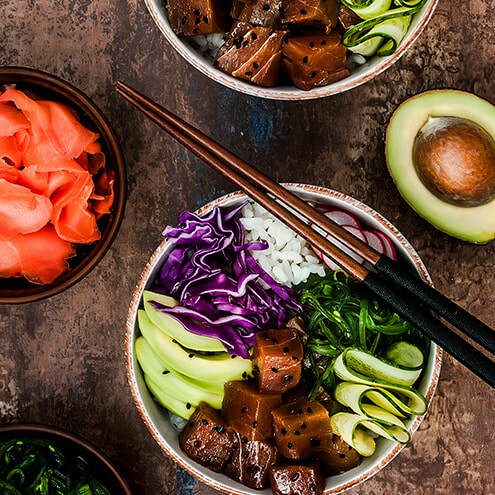 The freshest local ingredients create the boldest flavors, while our build-your-own options allow you to customize the perfect bowl. ​Here are some of our house favorites! Any base with sashimi salmon marinated in Hawaiian Sesame sauce. Topped with furikake seasoning, cucumber, cabbage, edamame, sweet onions, mango, krab salad, coconut, peanuts, and drizzled with Triple Citrus.